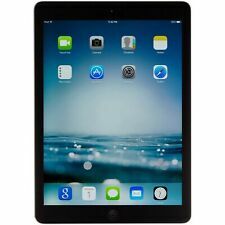 Apple iPad mini 4 128GB, Wi-Fi, 7.9in - Space Gray Model: A1538. 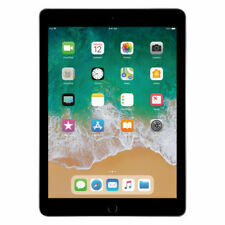 The iPad Air is the first-generation iPad Air tablet computer designed, developed and marketed by Apple Inc. It was announced on October 22, 2013, and was released on November 1, 2013. This iPad is in good condition. Apple iPad Air 1 A1475. 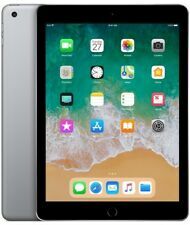 16GB, Wi-Fi Verizon ~ 9.7in - Space Gray. Condition is Used. No accessories or SIM card included. iPad is in really good condition. Shipped with USPS Priority Mail. Screen is in excellent condition, no visible scratches that I could see, no cracks. The aluminum back has multiple scratches and wear, no dents. The laser engraving has a Bill Murray quote from the movie Rushmore "Take dead aim on the rich kids".